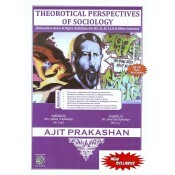 This Book is written in Simple English Language by Well Qualified Authors which is Easy to Understand to Every Student. Syllabus of University is Completed / Covered. Important Topics of every Chapter is given. Questions which were asked & can be asked from every Chapter is given. All types of Questions are covered like Definitions, Distinguish, Short & Long Question- Answers. Marks Distribution of each Question Answer has been done. We focused On University Question & Answers. Best Representation of each & every Question. Photos are given in Chapters where it is necessary to clear the Concept more effectively. Please Note: Price of the book includes Delivery Charge Rs. 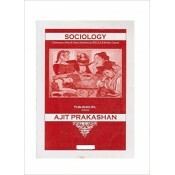 25.Ajit Prakashan's Sociology Notes &.. The present edition has been updated with the addition of more and latest available material. Soc.. Useful for B. A. (Pass & Honours), M. A., Civil Services, Preliminary Subordinate Services and o..